I’m always going on about the many benefits – physical, psychological, emotional - of walking in nature, so it was a real pleasure to team up with someone equally passionate on the subject. Alison Theaker of The Spark is a business coach and mentor who is increasingly using walking as a way of working with her individual clients (“Walk the Talk”). Walking alongside others rather than sitting across from them is a much easier way to talk openly and honestly, as she discovered when helping her daughter cope with the pressures of exams. Walking also generates more creative thinking as the many great thinkers who have made a daily walk part of their work routine can testify to. There’s even now academic research that proves this! 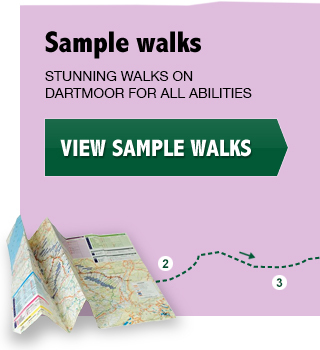 So Alison and I have launched Walk the Talk This Way and are offering it to hotels and centres on Dartmoor that provide conference facilities or host small corporate groups. Instead of struggling through another session of Powerpoint under fluorescent lights, the idea is to get the team out walking and discussing the issues in pairs using structured coaching techniques. This is particularly useful for that after-lunch slot when people are inevitably feeling a bit sleepy or over-full of information, or could be used as a way to get the creative juices flowing at the start of a session or even just before supper. Walks can be as short as one hour or as long as three. 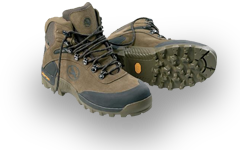 My job is to scope out a good circular route, make sure everyone is keeping up and take care of the practical walking side of things, while Alison – and other coaching colleagues if numbers require it – provides the structure for the discussions. Jo Butler of Bovey Castle was interested in adding this to their corporate offer, and we had a launch event there yesterday. It’s a perfect place to start a walk from – particularly in spring with the sun shining! Our launch walk was just an hour (2 miles of easy walking) but there are also excellent two- and three-hour walks from the hotel. Lively discussions accompanied the birdsong as we walked through woodland, over rivers, along quiet lanes and back through “The Glen” alongside the Bovey. Thanks Jo for the well-earned cream tea at the end! We are interested in developing similar links with others on Dartmoor – contact us to find out more.